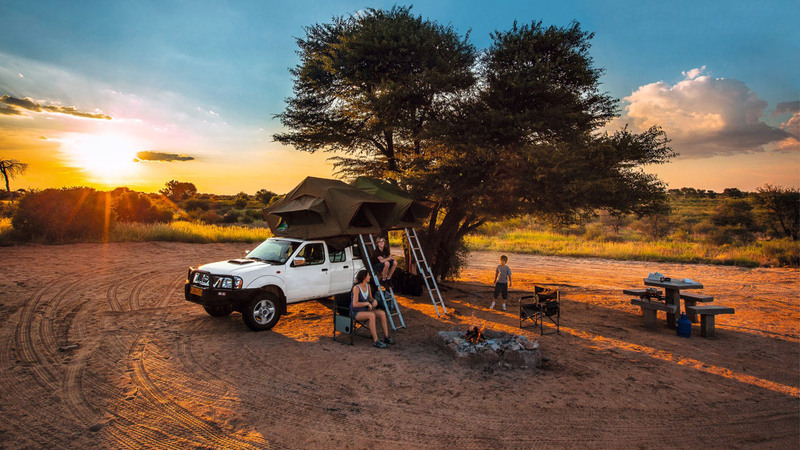 4×4 Voyages provides clients with an affordable and enjoyable way to discover Southern Africa, with highlights such as Chobe National Park, Okavango Delta, Etosha National Park, Fish River Canyon, Kruger National Park and Storms River National Park to name but a few. Our self-drive itineraries can be tailor-made to suit all budgets and preferences and showcases some of Southern Africa’s most beautiful and magical destinations in South Africa, Mozambique, Namibia, and Botswana. Our itineraries are suitable for both couples and family travel. Whilst the most popular itineraries are based on camping accommodation, we can also tailor make itineraries with only accommodated options or a mixture of camping and accommodation. They can be as relaxed or as adventurous as required with a range of rental vehicles on offer, from Single Cab Equipped 4×4 vehicles to spacious and comfortable motor-homes. We will not only plan and book the relevant accommodation/camping for you but also provide clients with a detailed route description for their journey. Along with maps, general information about the different countries to be visited and other useful guides and tips, our Travel Documentation will help clients to make the most of a truly memorable holiday in Southern Africa! Packages can be amended to suite each individual traveller’s needs, budget and expectations. 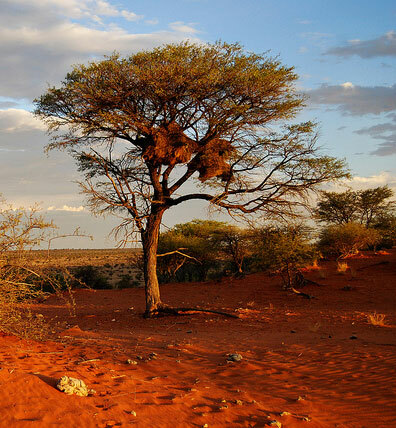 Below are a few popular itineraries that showcase the beauty and diversity of Southern Africa as a holiday destination! Note: with all 4×4 self drive itineraries we strongly recommend that a 4×4 driving course is done. This will assist with a better understanding on how to handle the vehicle correctly and basic steps to follow should you get stuck, have a flat tyre or need to do a water crossing. In brief, a 4×4 driving course ensure that you get the maximum benefit out of your 4×4 vehicle and your self drive holiday! South Africa is a great self driving destination with a relatively well maintained road infrastructure that winds through beautiful countryside. 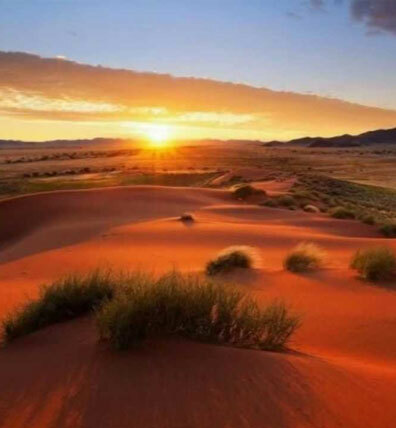 Discover the country’s most popular destinations as you visit several game parks and reserves, spend time along its scenic coastline, and enjoy the contrasting landscapes of Karoo and wine lands. Read the full day by day itinerary here. Please note that the below information remains subject to change without prior notification. Please reconfirm prior to departure. All visitors entering Botswana must hold a passport that is valid for at least six months. Visitors must also have outgoing travel documents and sufficient funds to finance their stay. Valid entry visas for the countries which do require them may be obtained from Botswana’s various embassies and high commissions abroad. In countries where Botswana is not represented, visas may be obtained from the British High Commission. Entry visas obtained at border posts are valid for a maximum of 30 – 90 days. Extensions may be obtained from any immigration office in Botswana. Commonwealth Countries (except Ghana, India, Nigeria, Sri Lanka and Pakistan), Austria, Belgium, Denmark, Finland, France, Germany, Greece, Island, Italy, Liechtenstein, Luxembourg, Mauritius, Netherlands, Norway, Republic of Ireland, Samoa, San Marino, Sweden, Switzerland, United States of America, Uruguay and Yugoslavia. Botswana requires no inoculations except for visitors from Yellow Fever Zones. Botswana is a Malaria risk area, especially during the rainy season, and it is therefore recommended that all travelers consult their medical practitioner at least two weeks prior to the start of their safari. Whether oral prophylaxis is taken or not, it is recommended to always use mosquito repellent, wear long pants, closed shoes and light long-sleeved shirts at night, and sleep under a mosquito net in endemic areas (the Anopheles mosquito, which carries malaria, operates almost exclusively after dark). It is also highly recommended that all travelers ensure that they have adequate and sufficient Travel and Medical Insurance prior to the start of their holiday. All visitors entering Namibia must hold a passport that is valid for up to three months from the date of issue for stays of up to three months from date of entry. Extensions for a further three months are available from the Ministry of Home Affairs in Windhoek. Austria, Belgium, Denmark, Finland, France, Germany, Iceland, Ireland, Italy, Liechenstein, Luxembourg, Netherlands, Norway, Portugal, Spain, Sweden, United Kingdom and United States of America. There are no mandatory vaccinations for travelers from Europe. If you arrive from a country where yellow fever vaccinations are mandatory you need to produce proof that you have been vaccinated. Take the usual precautions: ask your doctor whether you should renew your vaccinations against polio, diphtheria and tetanus. S/he might also advise to take precautions against Hepatitis A and B. Unfortunately there is no vaccination against malaria. Namibia is a Malaria risk area, mostly towards the Northern parts of the country, and it is therefore recommended that all travelers consult their medical practitioner at least two weeks prior to the start of their safari. Whether oral prophylaxis are taken or not, it is recommended to always use mosquito repellent, wear long pants, closed shoes and light long-sleeved shirts at night, and sleep under a mosquito net in endemic areas (the anopheles mosquito, which carries malaria, operates almost exclusively after dark). It is also highly recommend that all travelers ensure that they have adequate and sufficient Travel and Medical Insurance prior to the start of their holiday. Australia, Britain, Canada, Gambia, Ghana, India, New Zealand, Nigeria, Sri Lanka, Sierra-Leone, Pakistan and Pappa New Guinea. Most Common Wealth Countries, not specified above, do not require visas to enter Zambia. 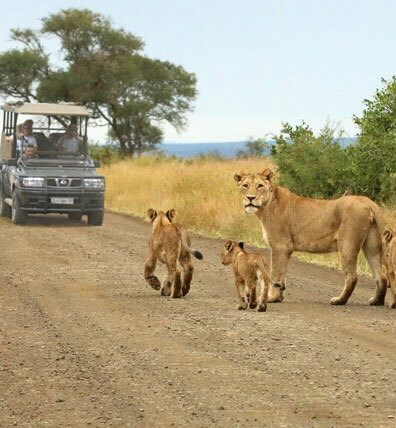 A bonafide tourist is any person traveling to Zambia as an individual or group of persons on a pre-arranged package tour through a foreign tour operator or travel agent in conjunction with a local tour operator. Tour operators include hotels registered in Zambia as such. Any bonafide tourist traveling to Zambia as an individual or in a group on a pre-arranged package tour through a foreign tour operator or travel agent in conjunction with a local operator shall be issued with a FEE WAIVED VISA at any port of entry to Zambia. Any person qualifying as a bonafide tourist above shall be issued with a multiple entry visas at any port of entry and such a visa shall be valid for the duration of the visit which shall not exceed a period of fourteen (14) days. The duly signed notice of tourists intending to come to Zambia on fee waived visa should be furnished to the officers at the port of entry at least twenty –four (24) hours prior to their arrival. The notice should include the following details: Passport particulars (full names, passport numbers and nationality), expected date of arrival and itinerary. A yellow fever certificate is mandatory if you are traveling from an infected area. Vaccinations for cholera, tetanus and yellow fever are advised. Malaria is virulent in the low lying areas of the country which include most of the good wildlife destinations. Take prophylactics two weeks before arrival and continue two weeks after leaving. A chemist or doctor can advise travelers of the most suitable drug available as certain drugs lose their effectiveness. Whether oral prophylaxis are taken or not, it is recommended to always use mosquito repellent, wear long pants, closed shoes and light long-sleeved shirts at night, and sleep under a mosquito net in endemic areas (the anopheles mosquito, which carries malaria, operates almost exclusively after dark). Tap water in the major towns is purified and perfectly safe to drink. In the more remote areas always boil it first, except if you’re staying at a lodge or hotel where drinking water is boiled already. Bottled water is readily available in the bigger towns. It is also highly recommend that all travelers ensure that they have adequate and sufficient Travel and Medical Insurance prior to the start of their holiday. There is a new visa available for Zambia and Zimbabwe called the ‘KAZA Visa’ !! It is available in Zambia at the Harry Mwaanga Airport (Livingstone), the Victoria Falls Land Border, the Kazungula Land Border (border with Botswana) and at the Kauda Airport (Lusaka). In Zimbabwe, it is available at the Victoria Falls Airport as well as at the Victoria Falls Land Border. The benefit of the KAZA visa is that tourists save time and money because they only have to obtain one visa to visit both countries. It costs US$50 and lasts up to 30 days as long as you remain within Zambia and Zimbabwe. It also covers those who visit Botswana for day trips to the Kazungula borders. N.B In the future, it is anticipated that the KAZA Visa will be extended to other three KAZA countries of Angola, Botswana, and Namibia. So watch this space! If you are not staying for longer than six months, you enter Zimbabwe with a minimum of formalities. All you need is a valid passport, a return ticket to your country (or enough money to buy one) and sufficient funds to cover your stay in Zimbabwe. All visitors require valid passports. A visa can be obtained from any Zimbabwean Embassy. With the exception of children less than one year of age, all visitors coming to Zimbabwe from infected areas are requested to possess vaccination certificates against cholera and yellow fever. It is not advisable to swim in the country’s rivers and dams as they may be infected with Bilharzia. It is, however, worth noting that all tap water is very safe to drink and water in swimming pools is purified hence very safe. If you are intending to visit low-lying areas such as Victoria Falls, Hwange, Kariba, Gonarezhou and Zambezi Valley it is advisable to take a course of anti-malaria tablets a precaution. However, it is always advisable to check with your doctor or pharmacist before traveling to such areas. Most establishments in the country do have mosquito nets and repellents. Whether oral prophylaxis is taken or not, it is recommended to always use mosquito repellent, wear long pants, closed shoes and light long-sleeved shirts at night, and sleep under a mosquito net in endemic areas (the Anopheles mosquito, which carries malaria, operates almost exclusively after dark). All visitors to Swaziland require a valid passport, tickets or documents for return or onward travel, and sufficient funds to cover their stay. Visas may be acquired at the border posts by travelers that require a visa to enter the country. Australia, Canada, New Zealand, South Africa, United States of America. British and Irish citizens require a visa to enter but can obtain one free of charge of arrival. A yellow fever vaccination certificate is required for travelers coming from areas with risk of yellow fever transmission. 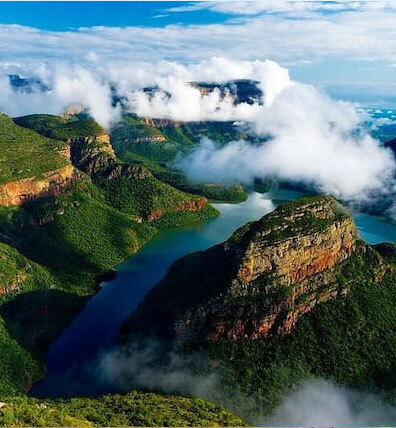 Swaziland is a Malaria risk area, mostly towards the Northern parts of the country, and it is therefore recommended that all travelers consult their medical practitioner at least two weeks prior to the start of their safari. Whether oral prophylaxis is taken or not, it is recommended to always use mosquito repellent, wear long pants, closed shoes and light long-sleeved shirts at night, and sleep under a mosquito net in endemic areas (the Anopheles mosquito, which carries malaria, operates almost exclusively after dark). When parents are traveling with a child, such parents must produce an unabridged birth certificate of the child reflecting the particulars of the parents of the child. All visitors to South Africa require a valid passport valid for at least six months after their departure from the country, sufficient funds and a return or onward ticket. Subject to the travelers’ nationality, a valid visa may be required as well. If travelers are subject to visa requirements, they should apply for their visa at least four weeks BEFORE departing for South Africa and await the outcome of their application before departing. Visas are NOT issued at South African ports of entry, and airline officials are obliged to insist on visas before allowing passengers to board. If travelers arrive without a visa, immigration officials are obliged by law to refuse them entry to South Africa and to place the traveler on a return flight to their country. A yellow fever vaccination certificate is required if the journey starts or entails passing through the yellow fever belt of Africa or South America. Hepatitis B inoculations are recommended for children up to the age of 12 who have not completed the series of injections as infants. Booster doses for tetanus and measles can also be administered. Many of the main tourist areas are malaria-free. However, the Kruger National Park, the Lowveld of Mpumalanga and Limpopo, and the northern part of Kwa-Zulu Natal do pose a malaria risk in the summer months. Many local people and some travelers do not take malaria prophylaxis, but most health professionals recommend you do. Travelers should consult their doctor or a specialist travel clinic for the latest advice concerning malaria prophylaxis, as it changes regularly. Please feel free to contact us below if you have any queries.